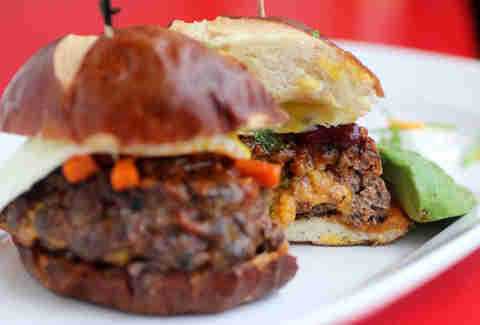 Waffles, the brunch spot known for mixing meat with their batter-y goodness (aka cheddar waffles with braised short rib), has taken the logical next step and transformed the adjacent dining room in its Lakeview location into a burger bar called On The Bun. 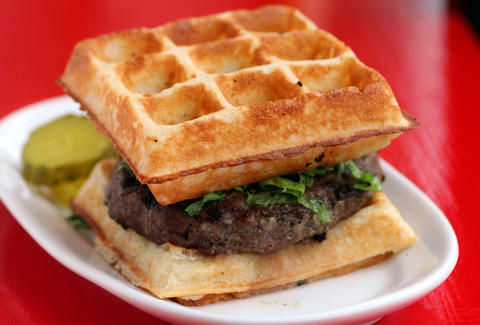 And since the two joints share a kitchen, you know what that means: waffle burgers! These 8oz of prime ground beef between two brown sugar Brussels-style waffles mean you get more Belgian protein than if you were training with Van Damme. Their meat comes courtesy of Allen Brothers South Side butchery, and goes beyond beef. 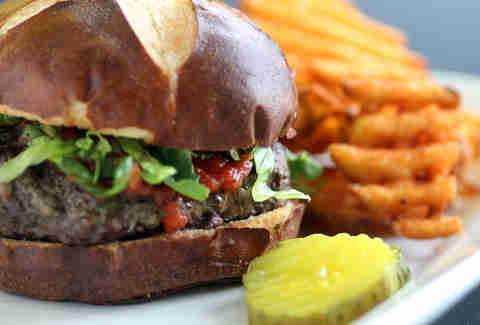 For example, this pretzel-bunned Bison burger's topped with fire-roasted tomato spread, and hit with a side of waffle fries (of COURSE they have waffle fries!). 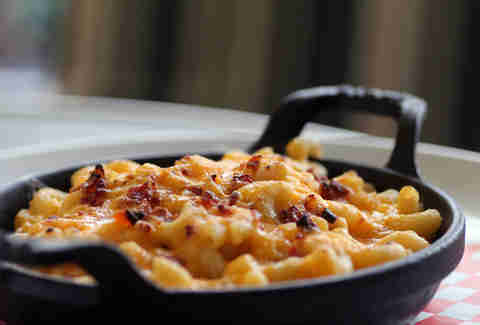 The mac and cheese skillet comes with a crisp, baconated crust, and a three-cheese blend of cheddar, American, and Gruyere. 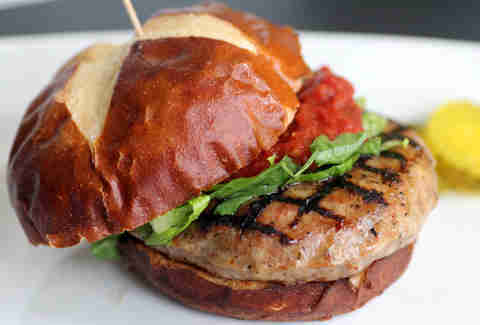 If you’re further diversifying your animal intake, try this veal/ chicken combo patty with condiment options like chipotle cream, teriyaki, and smokey ketchup. 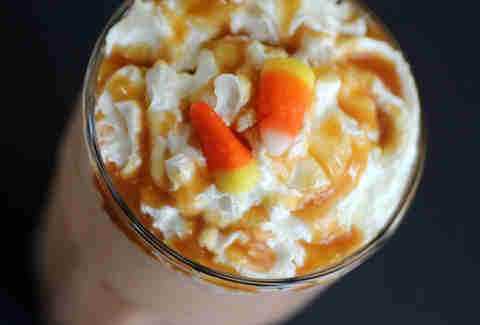 If you’re battling seasonal affective disorder, divert your attention with a pumpkin milkshake topped with caramel, whipped cream, and candy corn (that we promise is not left over from last century). In addition to a line of encased meats like the jalapeno/cheddar sausage, there’s this beauty: a special, stuffed chili burger oozing with sharp cheddar & jalapenos, and topped with avocado and a fried egg. Mmm... egg... breakfast... hey, put that thing on a waffle!